How can moving concepts generate new movement proposals? How can we transmit the inner sound of movement? 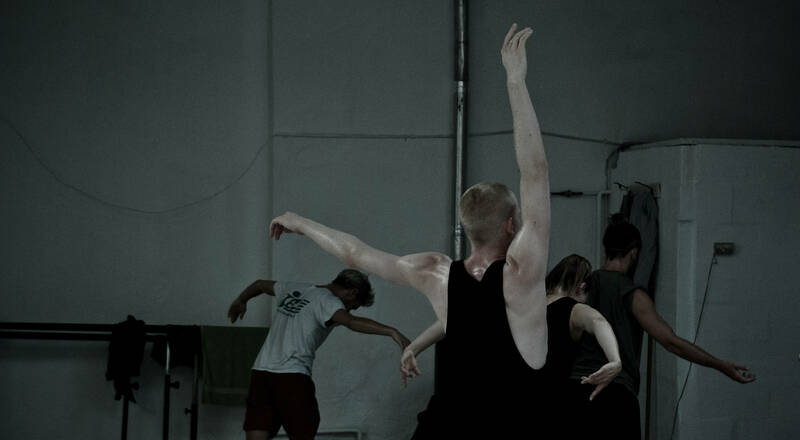 Pre-choreographic Elements is an interdisciplinary research project initiated by ICK/ Emio Greco | Pieter C. Scholten and dance researcher Bertha Bermúdez. It is a continuation of the previous research projects around documentation, notation and transmission of dance: Capturing Intention and Inside Movement Knowledge. The Pre-Choreographic Elements refer to the pre-phase of choreography where movement material is being created, shaped and tested. The pre-choreographic elements are the roots and conditions for choreographic elements. They are not yet part of the structuring and ordering process of choreography. So far, 20 Pre-choreographic elements have been identified through a process of selecting and naming movement concepts derived from the repertoire of Emio Greco | Pieter C. Scholten. Each of these 20 elements is linked with one or several choreographic elements. Looking at issues of terminology, formats of representation and the use of interactive environments, the research project Pre-choreographic Elements aims to create, in collaboration with various partners, an interactive online glossary that can serve as a as reference for the creation of new improvised and choreographed dance proposals. Research into the Pre-choreographic elements in collaboration with the ICK dancers is aimed at exploring how these movement concepts can be creatively re-embodied via new movement proposals. Working with the Pre-choreographic elements is also implemented as an additional improvisation based component in the Double Skin/ Double Mind workshop and supports the transmission of the choreographic philosophy of Emio Greco| P.C. Scholten in professional and educational contexts. 'Around Ball' is a gesture of giving an offer. It is a kind of an air materialization that allows to control and play with the concepts of: shifting, rotation, evaporation, measurement, manipulation, disappearance, and possession. It is not empty; it must give a sense of volume and of polarization in between both poles of the sphere. What is the ball made of? It is energy, it is not a circle, it is a sphere that is connected with the space under the armpit. This space is engaged with the shape of the ball. Since the shoulders are involved, the passage towards more internal parts of the body is made possible, so that the ball and all possible manipulations relate to the rest of the body. 'Abracadabra' is an illusive action whereby gestures of the hands and the arms create a materialization or disappearance of forms, thought of as objects or substances in the hands of a magician, which are made to appear or disappear by subtraction or addition of imagined matter to a previously presented gesture. To address and to manipulate the perception of the viewer, three simultaneous perspectives are involved: of the self, of the imaginary object and of the viewer. The action of No Shoulder is a mental state consisting of a physical behavior of avoiding the the natural relation of the shoulders and the control they have over the body’s balance. No Shoulder physically avoids and mentally denies the existence of the shoulders, searching for other possible physical relations within this condition. No Shoulder provokes a travel through space and an unstable balance that forces the legs to take responsibility over the weight of the body. The sensation of time is shorter due to the subtraction of the arms from the shoulder. The rhythm emerges by feeding back the created distance from the shoulders. There is no time to process the activity; speed is needed to maintain the dynamic momentum. The aim is to create a strong and soft body that can move in any dimension. Around Ball from Sjanine Hendrikx on Vimeo. ICK Exploration: Abracadabra from ICKamsterdam on Vimeo. ICK Exploration: no shoulder from ICKamsterdam on Vimeo. Piecemaker2, is a yet unreleased in-development prototype for a multi-user application that assists in (an)notating and scoring dance developed by Motion Bank. It has been applied as a research instrument in the Pre-choreographic elements research and for online sharing of creative processes.